A lively place to begin your night out or simply to watch the interesting folk bumbling down Cuba Street. The intoxicating smell of woodsmoke from the parrilla takes me back to long nights sitting round a cafe in Buenos Aires drinking Quilmes and devouring steak for most meals of the day. El Matador is perfectly located on Cuba with a slightly distressed decor. It has a social atmosphere and the kitchen is right in the midst of it all. The constantly burning parrilla (Argentinian BBQ) pumps that beautiful smoke out all night but will leave you going home smelling much nicer than a pack of Dunny Blues. It is hard to beat anything cooked on a BBQ, so perhaps go for a sharing platter where you can try a range of different cuts, such as the Parrillada, which has chicken, chorizo, sweetbreads, beef and lamb. The tapas menu is full of moreish treats, from fried calamari to chicken pinchos with chimichurri. A great selection of local and South American wines, as well as plenty of local craft beers (and Tuatara on tap), will wash the grilled meats down. 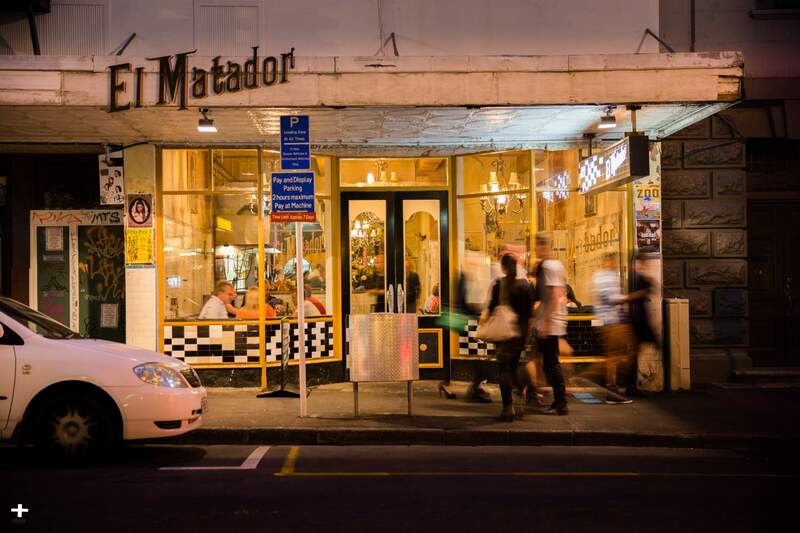 El Matador is a lively place to begin your night out or simply to watch the interesting folk bumbling down Cuba Street.